This a common problem when working with beginners in improv. 1. Split the class into groups of three or four, and have the groups stand on one side of the stage. 2. Call out a conflict. 3. The goal is to get your group across the room, as quickly as possible, with a storyline that heightens the conflict. 4. They can take one step forward each time they come up with something that makes the problem worse. 5. The storyline must make sense as if it were a standalone scene. 6. Each group works on their own storyline. 8. Give the instruction that at this point, each group can continue to take one step forward for each scenario that makes their problem worse. 9. They shouldn’t debate ideas. If someone suggests a workable idea they should “yes, and” it. Remember the goal is to get across the room quickly. 10. All ideas must make sense. The teacher is the supreme judge of what makes sense. 11. 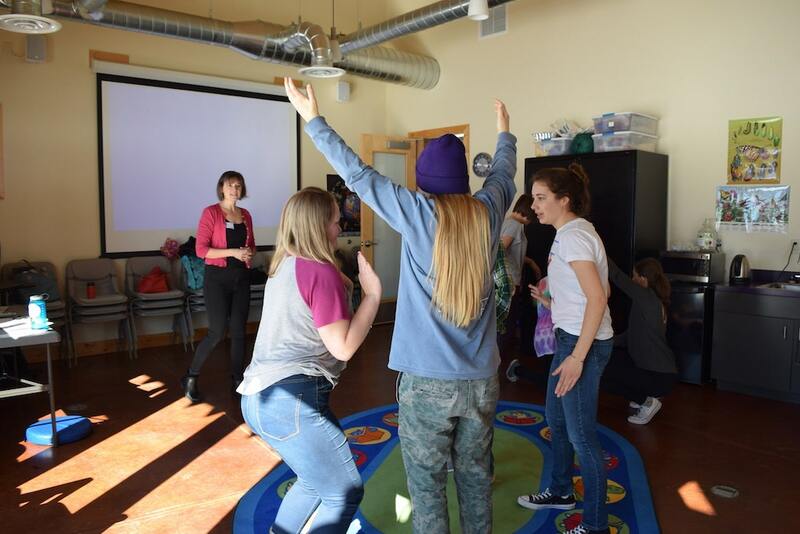 When the first group gets to the other end of the room, tell everyone to freeze. 12. That group shares each step they took to make their conflict worse. 13. If the story made sense and could work with a scene, that group is the winner. If it went off the rails, let the rest of the class continue. Game Debrief: Was it difficult to come up with ideas to make the conflict worse? How well did your group work together? Did you go with the flow or was there some dissent? In improv, you don’t have the luxury of discussing ideas. You have to “yes, and” the first idea that is thrown out there and go with it. 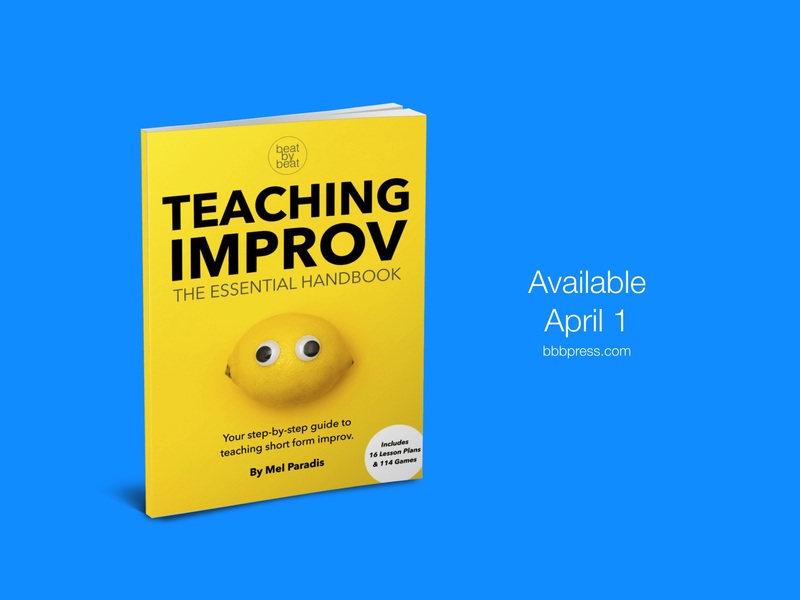 This is an adapted excerpt from the book Teaching Improv: The Essential Handbook, a step-by-step guide to teaching short from improv in a classroom setting, written by Mel Paradis. This book will be released on April 1, 2019. I like it. It is simple and direct, allowing the kids/students to be able to critique, build, and create. I look forward to purchasing the book. I ordered and paid for this. I downloaded it and printed the first couple of sections. Now, I can’t find it on my downloads. I am not a great “techie”, but can you give me a suggestion or check and see if the payment went through? Please email us at hello@bbbpress.com and we’ll be happy to help!